David Price’s strong performance in Game 2 of the World Series helped the Boston Red Sox take a 2-0 lead over the Los Angeles Dodgers. It was the third straight win for the Red Sox in games started by Price after his teams had gone winless in his first 10 career postseason starts. Most reasonable people know that the squatchee is not why Price is pitching well or why the Red Sox are winning, but what is important is that Price seems to believe that the squatchee is making a difference. David Price changed one of the most bizarre superstitions in a sport filled with them, and it seems to be working just when the Boston Red Sox needed him most. As documented several times by Paul Lukas at Uni-Watch.com, Price typically removes the button from the top of his cap. It is a bizarre quirk that may have formerly served a purpose (see below), but it appears that it is now a superstition for him. 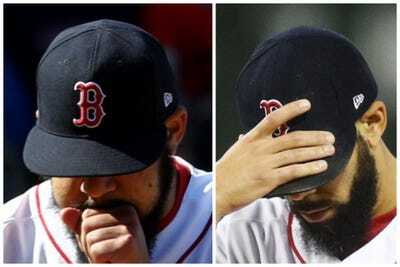 Before the ALCS, Price’s teams were 0-10 in the postseason in games he had started. That included Game 2 of the ALDS this season against the New York Yankees in which he was knocked out in the second inning. 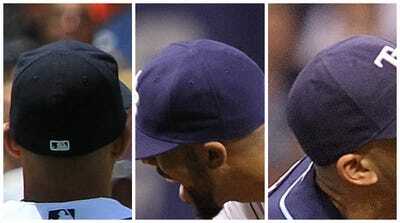 In that game, as in most of his career starts before, he did not have the squatchee on his cap. Elsa/Getty ImagesDavid Price in Game 2 of the ALDS. Now check out Price’s cap in each of his last three postseason starts, including Game 2 of the World Series. What do these games all have in common besides the presence of the squatchee? The Red Sox are 3-0 in those games. Maddie Meyer/Getty Images; Elsa/Getty Images; Maddie Meyer/Getty ImagesDavid Price, from left to right, in: 1) Game 2 of the ALCS; Game 5 of the ALCS; 3) Game 2 of the World Series. Lukas noted that the term “squatchee” appears to have originated from a popular line of books from the 1980s, called “Sniglets,” by comedian Rich Hall, in which he attempted to give names to everyday objects and situations that did not already have names. He referred to the button as a “squatcho,” and it appears that the name has evolved. 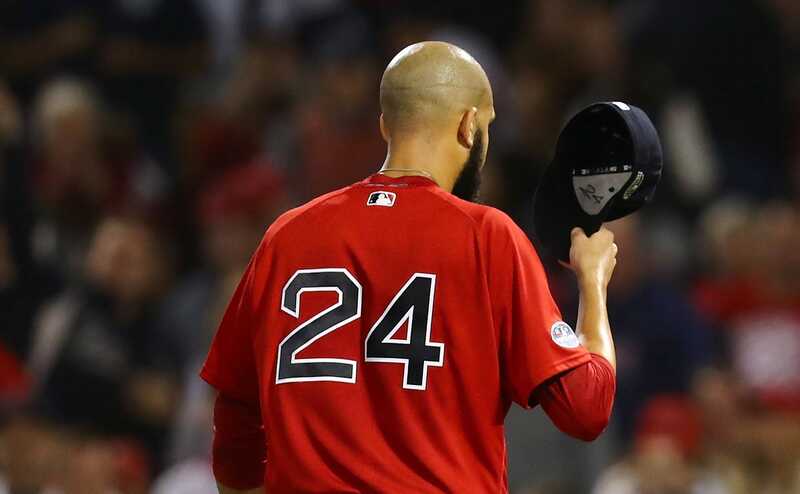 Despite the name, Price has referred to the piece as “the ouch button,” which suggests that his decision to remove was not originally a superstition. Lukas interviewed the former player and current broadcaster Mike Krukow, who has used the term “squatcho” and explained why a player might want to remove it. While we could not find a good view of Price’s caps from all of his regular season starts this season, we could not find any with the squatchee. Maddie Meyer/Getty ImagesDavid Price versus the Tampa Bay Rays in April (left) and in September versus the Toronto Blue Jays. 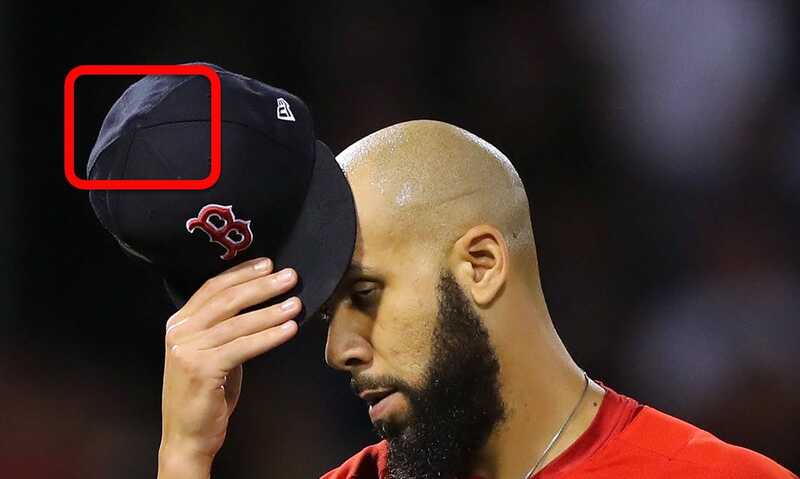 There are a few games over the years in which Price has left the button on his cap. However, the removal of the squatchee is far more common and goes all the way back to at least 2010, including his time with the Detroit Tigers and Tampa Bay Rays. Dave Reginek/Getty Images; Brian Blanco/Getty Images; Mike Ehrmann/Getty ImagesDavid Price with the Detroit Tigers in 2015 (left), the Tampa Bay Rays in 2014 (center), and Rays in 2010 (right). 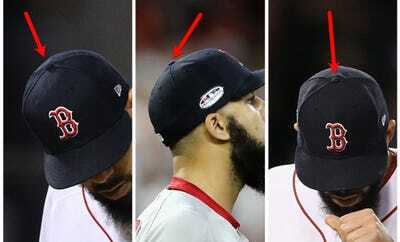 However, when Price first came up with the Rays and pitched well in the 2008 postseason as a reliever, he had the squatchee on his cap. 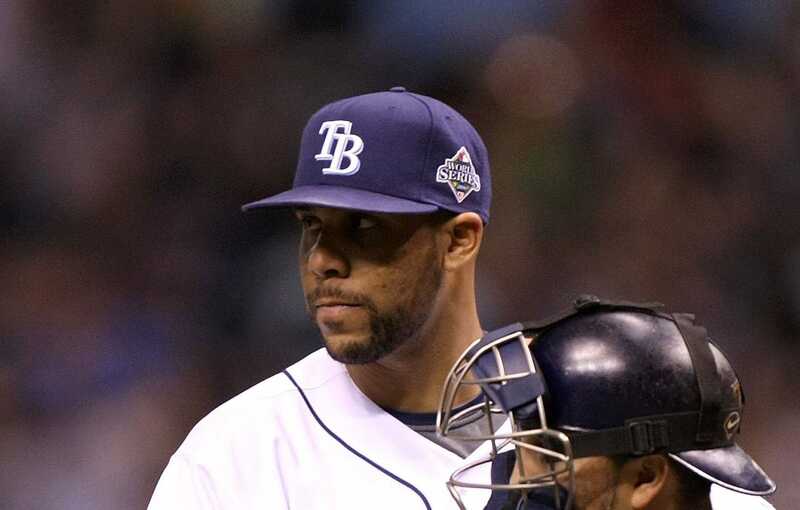 Jed Jacobsohn/Getty ImagesDavid Price during the 2008 World Series. Most reasonable people know that the squatchee is not why Price is pitching well or why the Red Sox are winning. But what is important is that Price seems to believe that the squatchee is making a difference, and if he thinks it, that is all that matters.